Waterfall Info: This small but scenic waterfall is the largest drop on Bear Den Creek. A few other picturesque cascades are found on this creek. 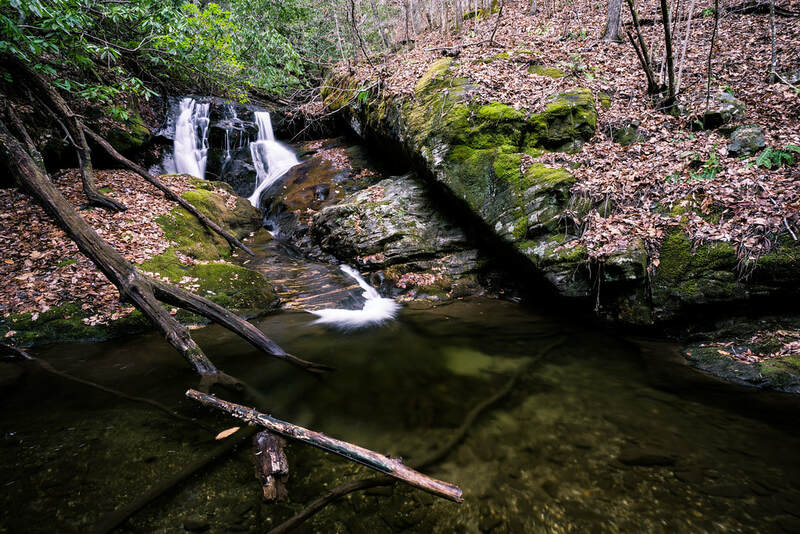 Access Info: Easy-to-follow old logging roads from Richard B. Russell Scenic Highway lead to this waterfall and the other cascades on Bear Den Creek.